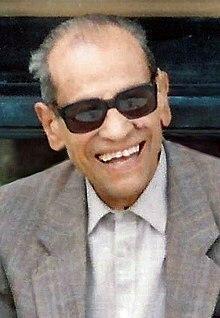 Naguib Mahfouz (Arabic: نجيب محفوظ‎ Nagīb Maḥfūẓ, IPA: [næˈɡiːb mɑħˈfuːzˤ]; December 11, 1911 – August 30, 2006) wis an Egyptian writer wha wan the 1988 Nobel Prize for Leeteratur. He is regairdit as ane o the first contemporary writers o Arabic leeteratur, alang wi Tawfiq el-Hakim, tae splore themes o exeestentialism. This page wis last eeditit on 17 August 2016, at 18:09.